Hangman is a classic word-guessing game for one or more players. It is used often by teachers to practice spelling, vocabulary and just for fun. 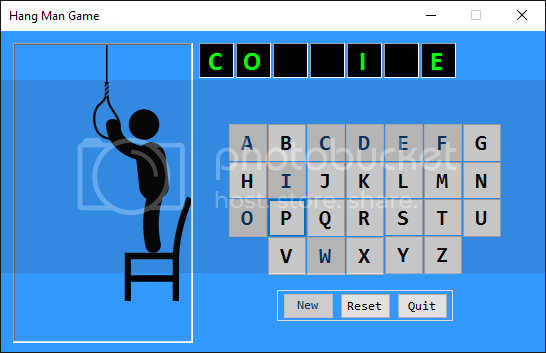 In this hangman game the user is given a few letters out of the word, in order to complete the game the user have to guess all the other letters in the word. If the user guess all the letters correctly they will win the game, on the other hand if the amount of try runs out they lose the game. The entire word will be revealed if they lose the game. The user has an option to create a new game when the game starts and an option to quit or reset while the game is in play. 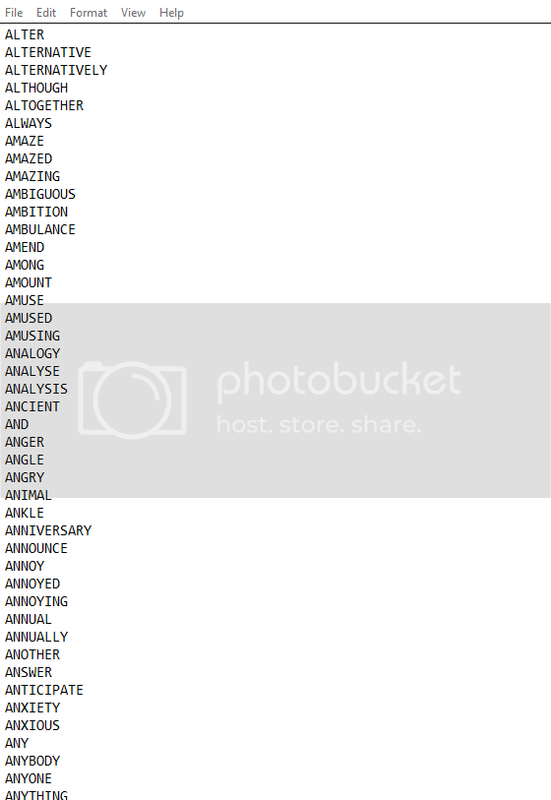 In order for the game to run, a list of words must be added to the application executable folder. MessageBox.Show(ex.Message.StartsWith("Could not find file") == true ? Could you give full Source file..........!!!!!!!! ?